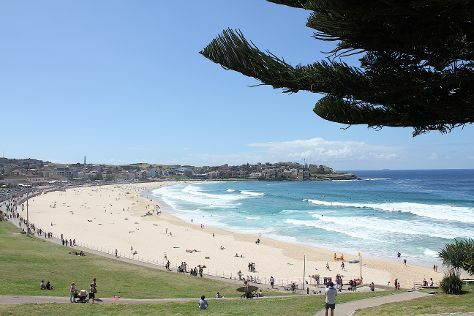 You'll get in some beach time at Bondi Beach and Kamay Botany Bay National Park. Escape the urban bustle at Dolphin & Whale Watching and Pulpit Rock Lookout. Explore the numerous day-trip ideas around Sydney: Katoomba (The Three Sisters, Lost Bear Gallery, & more), Falls Gallery (in Wentworth Falls) and Bouddi National Park (in Killcare). Spend the 9th (Tue) wandering through the wild on a nature and wildlife tour. Spend the 18th (Thu) exploring nature at Sydney Harbour National Park. And it doesn't end there: get to know the fascinating history of The Rocks, wander the streets of Darling Harbour, trek along Bondi to Coogee Beach Coastal Walk, and enjoy the sand and surf at Manly Beach. For more things to do, maps, where to stay, and more tourist information, read our Sydney trip itinerary builder . If you are flying in from United Kingdom, the closest major airport is Sydney Kingsford Smith International Airport. In July, plan for daily highs up to 21°C, and evening lows to 9°C. Finish your sightseeing early on the 31st (Wed) to allow enough time to travel back home.